1. 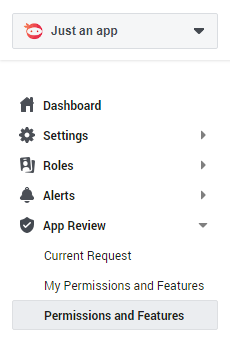 In your app, go to App Review > Permissions and Features. 2. 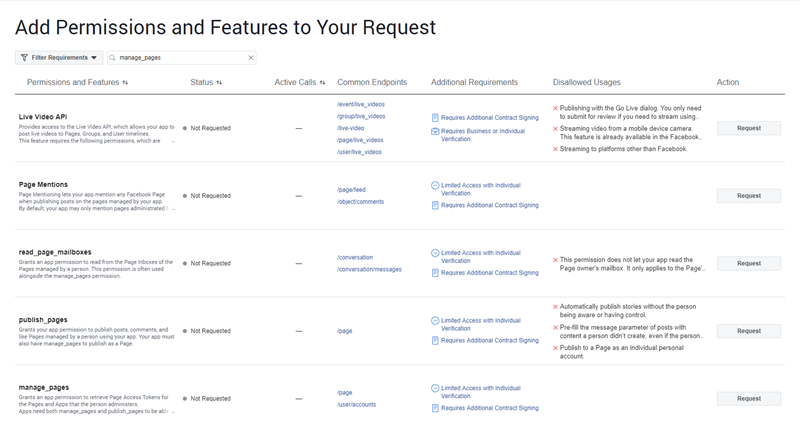 Search for the permission that you need (e.g. 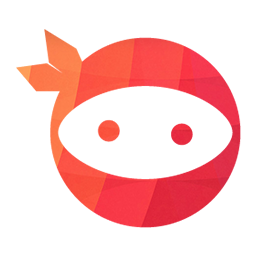 manage_pages). Click on “Request” button, then click “Continue”. 3. Click on “Tell us how you’ll use _” to continue. 4. There’s now a popup of “Details for _”. Click on “I agree to Facebook’s permission and feature usage guidelines”. 5. Fill in “Tell us how you’re using this permission or feature”. 6. Fill in “Demonstrate how your selected platforms will use this permission or feature”. 7. Upload a detailed step-by-step screencast under “Show us how you’re using this permission or feature”. 9. Click on “Provide verification details”. 10. In “App Verification Details” popup, enter your \wp-admin and \my-account login credentials. Opt in “I confirm I’ve completed the required steps,” then click “Save”. 11. Click on “Add additional permissions and features” to add more permissions if needed. After that, click on “Submit for Review”. 12. Click on “I accept the Platform Onboarding terms above,” then click “Submit”. That’s done! 1. 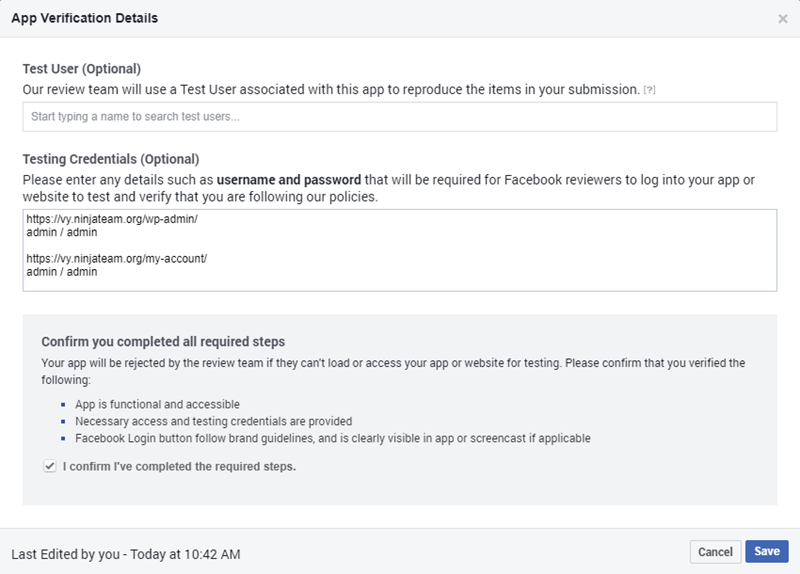 In your app, go to Messenger > Settings > App Review for Messenger. Then click on “Add to Submission”. 2. Click on “Add Details”. 3. Select your Facebook page, fill in the content for submission, then click “Save”. 4. Click on “Submit for Review”. 5. 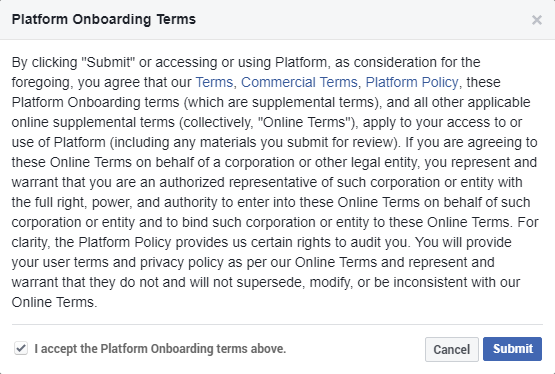 Click on “I accept the Platform Onboarding terms above,” then click “Submit”. That’s done!